Iran's intention to put two Azerbaijani poets on trial for committing an unspecified crime is aggravating an already rancorous bilateral relationship. The trial of the two Azerbaijani citizens, Farid Huseyn and Shakhriyar Hajizade, is scheduled to start in Iran on August 7. The pair traveled to the northern Iranian city of Tabriz, the center of Azeri-Iranian cultural life, in late April to participate in a poetry festival. Iranian security agents detained them May 2. Since then, the Azerbaijani Foreign Ministry has sent five diplomatic notes to Tehran demanding the release of the pair. Azerbaijani diplomats have characterized Iran's actions as "kidnaping." Iranian authorities, meanwhile, have been reticent about the incident, waiting, for example, until June 21 to acknowledge that Huseyn and Hajizade were in official custody. Authorities in Tehran have been likewise vague about the charges against the pair, saying merely that Azerbaijani citizens "initiated a crime in Iran." Iranian television reports have suggested the two were engaged in espionage. So far, Iran's explanations have not satisfied the Azerbaijani government. "We do not know what their crime was, what concrete charges there are and where our citizens are kept," Azerbaijani Foreign Ministry's spokesperson Elman Abdullayev told EurasiaNet.org, adding that Baku would assist in the pair's legal defense. Zardusht Alizade, seasoned Baku-based political analyst, believes that a trial would be "a political one that has nothing to do with legal issues." 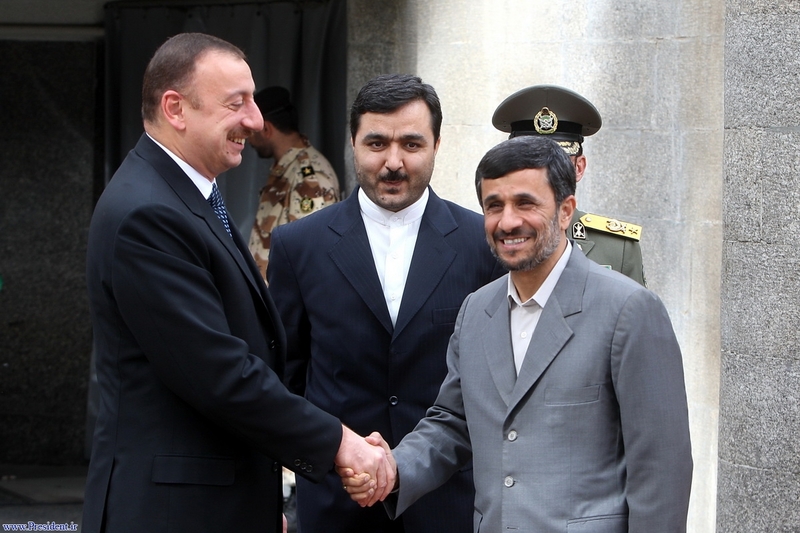 Alizade told Eurasianet.org that he is convinced that Iran is using Huseyn and Hajizade as a bargaining chip, aiming to trade the pair for pro-Iranian individuals in custody in Azerbaijan, including Movsum Samadov, leader of the Islamic Party of Azerbaijan, an Iranian television correspondent, Anar Bayramly, and others. In late July, Iranian officials permitted Huseyn and Hajizade to meet with relatives, and with Azerbaijan's vice-consul in Tabriz, Nariman Orujaliyev. According to the Azerbaijani Foreign Ministry, the poets told Orujaliyev that they stood accused of "illegally entering Iran." However they insist that visited Iran legally and did not violate any rules. Azerbaijani citizens, except journalists, have enjoyed visa-free travel privileges in recent years. Farid Huseyn's uncle, Aghalar Hajiyev, who visited the detainee in prison, was quoted by the SalamNews agency as saying both young poets are in normal health and did not complain about prison conditions. Azerbajani-Iranian relations have experienced a steady rise in tension over the past two years, amid the growth of international pressure on Iran over that country's controversial nuclear program. The rancor has now reached a point that Baku is officially telling its citizens to stay away from Iran. "We warn Azerbaijani citizens that travel to Iran is not secure and call on them to refrain from it," Elman Abdullayev said on July 13. Tehran, meanwhile, notified Baku in early August that visa-free travel for Azerbaijani citizens to Iran would be suspended from August 5-31, citing the fact that Iran will host a summit of the Non-Aligned Movement starting on August 26. Tehran did not explicitly state whether a visa-free regime would be restored in September. Alizade, the Azerbaijani analyst, expressed hope that a deal could be worked out for the fast release of Huseyn and Hajizade. "I think they will be convicted [and sentenced] to short prison terms, which they have already, in effect, served. Thus, they will be released," Alizade suggested. The analyst noted that Baku recently made a similar gesture by reducing the sentence of Bayramly, the Iranian TV correspondent, to one year from the original two-year term. Elhan Shahinoglu, the head of the Atlas research center in Baku, suggested there was a decent chance that Huseyn and Hajizade would be free soon. Azerbaijani President Ilham Aliyev, the analyst pointed out, has accepted an invitation extended by his Iranian counterpart, Mahmoud Ahmadinejad, to attend the Non-Aligned Movement summit in Tehran. "If Huseyn and Hajizade are not released by the end of August, the Azerbaijani president will most likely cancel his participation in the summit. [Thus], I think the issue will be solved by that time," Shahinoglu told Eurasianet. Even if the poets come home in August, political observers in Baku, including Alizade and Shahinoglu, are skeptical that Azerbaijani-Iranian relations will improve any time soon. "The overall negative spirit of relations between Baku and Tehran is not going to change soon," Shahinoglu predicted. Geopolitics is the reason: both Alizade and Shahinoglu explained that Baku has aligned itself with the West on the matter of Iran's nuclear program. Iranian officials also seem to be convinced that Baku has chosen a side. "Tehran does not trust Baku, despite a number of assurances that Azerbaijan's territory will never be used for any [potential] action against Iran," Shahinoglu said.